The Committee to Protect Journalists today called on Czech authorities to ensure that journalists can work without interference. Three Czech investigative journalists issued a joint statement on April 3 that said police tried to intimidate them by repeatedly bringing them in for questioning over their reporting on Prime Minister Andrej Babiš. In their statement, Jaroslav Kmenta from the privately owned monthly magazine Reportér, Janek Kroupa, from Czech public radio station Český rozhlas, and Sabina Slonková from the privately owned news website Neovlivní said that the police and its internal investigation unit, the General Inspection of Security Corps, summoned the journalists for questioning over their reporting on allegations of wrongdoing by the prime minister and the police investigation into his case. The journalists said they were questioned separately on several occasions in recent months about their sources and leaked information. The journalists said they refused to reveal their sources. Police denied via Twitter that they tried to intimidate the journalists and said officers were following criminal proceedings supervised by the state attorney’s office. The journalists were questioned about their reports on a case involving Babiš, a former businessman who led the ANO party to victory in last October’s elections. 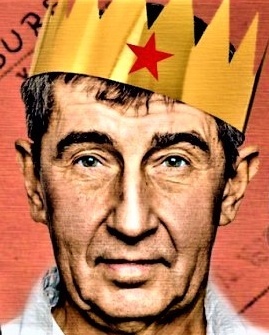 Police allege that Babiš illegally obtained a subsidy of €2 million (US$2.5 million in today’s rates) a decade ago, Reuters reported. Babiš denies any wrongdoing and has refused to step aside as prime minister, according to reports.